Store your writing utensils or other desktop essentials in a timeless fashion. 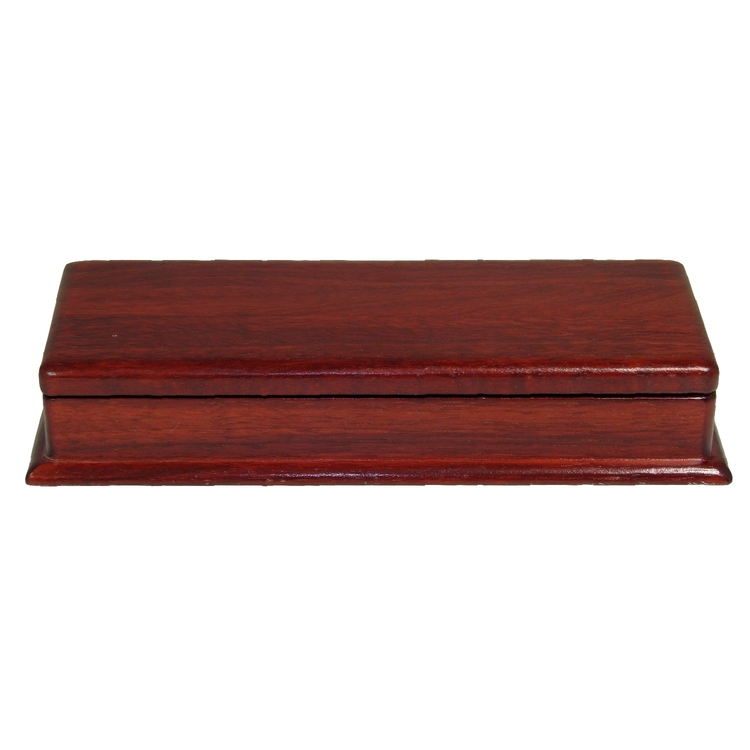 This solid wood box has a rounded base that gives it a clean executive look. 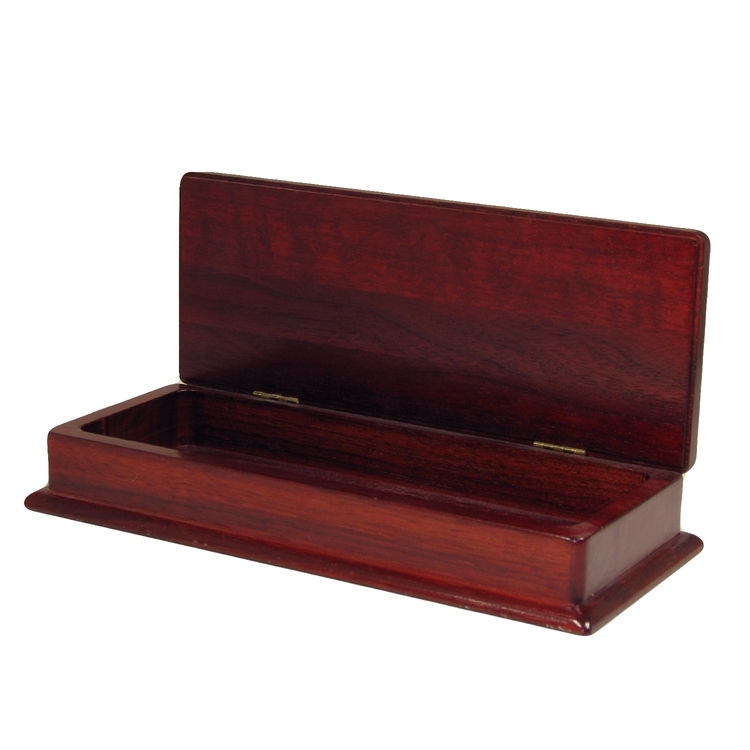 Precision milling and hidden hinges provides storage for up to 17 standard size pencils. 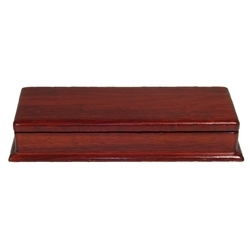 10 x 4.25 x 1.75"
Price includes a one position laser engraving or 4-c print on the box lid, flocked insert and gift box. Laser Area: 6 sq. in.